A collection of reports from Florida inmates about the September 9, 2016, prison strike and uprising. Compiled by the Campaign to Fight Toxic Prisons. In the summer of 2016, the Campaign to Fight Toxic Prisons (FTP) coordinated a national mailing in solidarity with the prisoner strikes called for on the anniversary of the Attica rebellion of 1971. 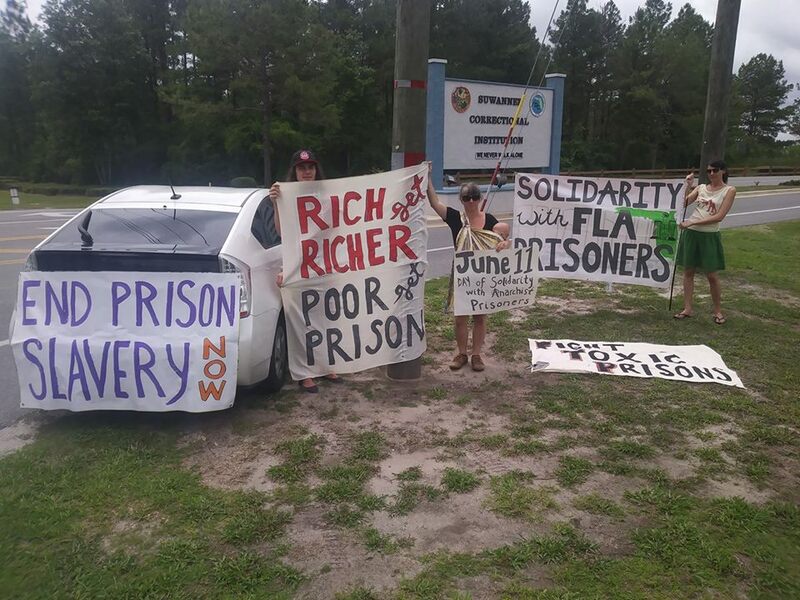 We didn’t explicitly encourage participation by prisoners, but we sought to let people on the inside know that we were organizing on the outside and planned to gather in front of massive federal prison complex located in Coleman—a remote, rural location surrounded by gas pipelines and rock mines—located between Tampa and Orlando. While our focus has been on drawing connections between environmentally hazardous conditions and human rights abuses in prisons, we also realized that these issues could not be looked at in isolation from all the other things that plague the system of mass incarceration, including slave labor, profiteering off basic services, bad food, utter brutality, and widespread corruption, which the Southern states are particularly known for. Being based in Florida, we aimed to focus a large part of our “in-reach” in this state, coordinating with members of the Incarcerated Workers Organizing Committee (IWOC) of the Gainesville Branch of the IWW labor union. We initially had very few strong contacts inside Florida’s prison system, but were able to gather a mailing list compiled from several organizations and publications which conduct regular mailings into the facilities. To our surprise, as well as many other organizers around the country, Florida ended up being one of the first and largest prison populations to participate in the September prisoner-led mobilization. Starting with the massive protest in Holmes C.I. on September 7, which left much of the prison unusable from prisoners severely damaging the dorms, at least nine additional prisons would report “disturbances” related to the September events, ranging from major disturbances to smaller sit-ins and mass work refusals. These were part of the largest coordinated prison strike in American history, with participation in over a dozen states and approximately 24,000 reportedly confirmed to have participated on the inside and several thousand more showing support in demonstrations on the outside all across the country. Though the numbers of those who participated in Florida prisons alone were likely in the thousands, months passed without any explicit word from the inside, except for the censorship notices we received from the administration in several prisons explaining our letters were not delivered. Efforts were made to appeal this censorship, but seemed to have fallen on deaf ears, as a response has yet to be provided by the DOC to our appeals. 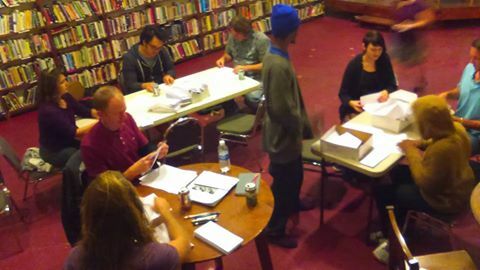 In December, FTP organizers decided to send a follow-up holiday mailing to prisoners around the country, again with a large Florida focus. We added new names, seeking out prisoners in the facilities where activity was reported. Finally, we are starting to begin piecing together some of the story. In particular, our goal has been to figure out the prisoners who are bearing the brunt of the repression for having the courage to stand up to the injustice of mass incarceration and prison slavery in this country, and lend support to them however we can, from simple letters letting them know that they are not forgotten to assistance with possible legal counsel and commissary funds to stay strong and active. What follows are excerpts from FL prisoners regarding September 9, 2016. While these are only a few stories from a few facilities, they provide an exceptional overview of the conditions many face and the inspiration many felt in the showing the collective power of refusing to cooperate with an unjust system. Update from Sept 9 at Taylor C.I. I’m currently being held at Franklin C.I. because of the September 9th sit down. I was at Taylor Main Unit and have been there since 2009. We got wind of all of it pretty late but were able to pull together at least half of the compound. Peacefully we conducted ourselves and everyone who participated did not attend any services, call outs, canteens, chow, or recreation – if it had something to do with the state, we didn’t go. So, the Assistant Warden Surles and Colonel Mitchell walked to every dorm and told us that as long as we were peaceful they had no problem with what we were doing! Good, or so we thought, a couple hiccups but nothing major or violent. So, the cops that night in the dorm started mistreating everyone with verbal abuse and it progressed through the weekend, with myself included on my way to a visit. On Tuesday night, following Sept. 9th, the colonel had 30 extra officers stay and work late to do a round-up of everyone involved. Seven officers came to my house and took me to the laundry room, cuffed me, and put 26 of us in confinement under investigation for illegal gang activity. I’m not nor have I ever been in a gang! I saw blacks, whites, Spanish – all kinds – but we all had one thing in common: we were all a part of September 9th. We were viewed as the orchestrators of it on the compound. On the 16th day in confinement they walked us all up front in shackles and cuffs, split us up in 6 different groups, put us each on different vans and took us directly to our new camps. And now I’m at Franklin. And that’s my September 9th story. Some of us believe in what y’all are doing, so don’t give up! Hello and thank you for your letter. The first letter I received from FTP [Fight Toxic Prisons] caught up with me on September 8, 2016 and I am proud to say I did what I could with the short notice I had. My name is Justin M. Curtis. 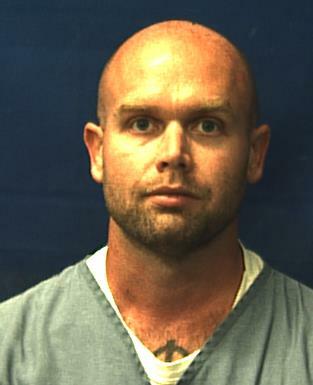 I am 35 years old and have been incarcerated in Florida for almost 14 years straight (minus a brief 2 month taste of freedom in late 2004) and the atmosphere within the FL DOC has been extremely oppressive to say the least. I’ve talked to other people who have done time in other states and heard of the unity on the part of inmates, but here in Florida that is not the case. Down here the majority of inmates are out for self, don’t care if their fellow inmates have or have not, and the violence, manipulation, and general disregard that occurs from inmate [to] inmate is sad and frustrating. The guards and administration are taught psychological warfare/divide-and-conquer tactics that they implement in plain view for us inmates to see, but due to the majority outlook and selfishness there is never any type of united effort on any front. Several of us talk about standing up, but that’s it… until September 9, 2016. Like I said, the letter detailing the purpose of 9/9/16 came to be on 9/8/16. It was forwarded from another institution I had been transferred from. I immediately took action, by passing the letter around, going around and speaking to other inmates who had influence and we agreed that on 9/9/16 we would all participate in a “peaceful sit-down protest.” At the time I was assigned to work in food service. I was on the 2 a.m. wake up crew, and we were the ones who would have to start the action. When the COs came to get us up for work (we had already been up all night anxious and excited), we refused to go. Copy of Justin Curtis’ disciplinary report from Sept 9 2016 events. The administration was already well aware of what was going to happen and already had plans implemented to bring inmates from the work camp to run the kitchen. So we were placed on lockdown status. We watched out of our windows as they called each dorm for chow. Not many people went, except for one dorm where all the inmates went. That is when things got a bit more tense. As I said, we had no time to plan or prepare, so a lot of people weren’t on the same page. Some dudes were arguing “What are we standing up for?” and there were times of tension within our dorm between us. But there was also a sense of unity that I’d never seen. At a certain point the administration felt it necessary to step down on us. After leaving our dorm, the Rapid Response Team (RRT) in full riot gear headed to the “two man cell dorms,” where they rushed in without warning, firing tear gas grenades and rubber bullets at unsuspecting inmates. There were several people punished with bogus Disciplinary Reports (DRs) which all said the same exact thing, and several inmates were transferred to other facilities. I received a DR for “Inciting a Riot” and have been on lockdown since 9/10/16. I am now on Close Management (CM II) status, where I will be on lockdown for at least 7-8 more months at Suwannee C.I. Updates from Sept 9 at Franklin C.I. A good friend of mine handed me the print out he received from you because he knew I had the drive and influence to unify and inform inmates in my section of the prison. First it was the print out of information about the riot in Attica’s state prison. Then he showed me the 2nd print out informing us about the prisons participating in the Sept 9th sit down. I explained how we had the power to make a change in mass incarceration, ridiculous gain time percentages, and slave labor. During the Sept. 9 protest, most of the young guys wanted to riot and destroy the dormitories. I passionately protested. Things like that only result in us getting hurt, shot with riot guns, pepper sprayed, beat on and possibly facing more criminal charges… This compound has already had 3 riots in 2016. Still the same corrupt guards are employed. Still nothing has changed. Those are the kinds of actions we need to steer clear of. It sends a bad message that we are all savage animals that deserve to be locked behind bars and segregated from our communities—a stereotype that the media will advertise to voters and taxpayers. This makes it almost impossible to get voters to petition on a bill to kill mass incarceration. We need to make the public believe that incarceration is a lot more negative than positive in this generation. The institution had caught wind that something was brewing and their first reaction was fear. The warden and his administration walked through our dorms giving us constant lectures and speeches acknowledging that he was aware of the protest. As long as we kept it peaceful he wouldn’t retaliate but if it got violent he had a team ready for action. He stated that he felt like our protest wouldn’t affect change, that our people on the streets had to be active for change. He believes that gain time should be lower and that he doesn’t believe we should be paid for our labor because we get free food and housing. I believe you should get religious groups and gangs involved… Muslims, Christians, Jewish, Bloods, Crips, Gangster Disciples, Latin Kings, Aryans, Hell’s Angles, etc. They are the forces of discipline and unity. They have the power to make large groups of men unite. Despite their different views and backgrounds, there’s one thing they agree on: It’s us against them. Hope for change of how they treat us is the power. I was at Franklin during the September protests and it wasn’t a complete stoppage but many did participate – much more than I had predicted – and the prison’s administration responded with a partial lock-down of the prison and disciplinary action against those participating. The average disciplinary action taken was a loss of 30 days (or more) gain time and a loss of canteen access for at least 30 days. While it was good to see prisoners come together on an important issue, it was amazing to see people outside of prison standing up for us. Thank you for your letter and your support. Having support and a voice through people on the other side of the wire is a prisoner’s most valuable asset. Please consider sending a letter or dropping some funds into these prisoners’ commissary account to let them know they’re not alone. Several dozen other prisoners from various facilities that experienced September 9 activity, or repression resulting from it, have also reached out to tell us their stories as well. We know there are hundreds, possibly thousands, who have been thrown in solitary, put on Close Management, and shuffled around in FL DOC facilities. We will continue adding new stories to this section of the website, and aim to develop a listing of FL prisoners who are facing repression from their participation to be included in a national database. We view these prisoners as the front lines of the movement to end toxic prison slavery and mass incarceration. June 11, 2017 Solidarity Demonstration at Suwannee C.I. Having support and a voice through people on the other side of the wire is a prisoner’s most valuable asset.